The Harvard Kennedy School (HKS), Women and Public Policy Program’s (WAPPP) mission is to increase gender quality and improve the lives of women and men across the world by creating and sharing knowledge that helps close gender gaps in economic participation, political opportunity, health and education. Specifically, the WAPPP staff work to conduct and support research, train leaders across all sectors, organize and host guest speakers and events, and support students’ development to become effective policy makers. 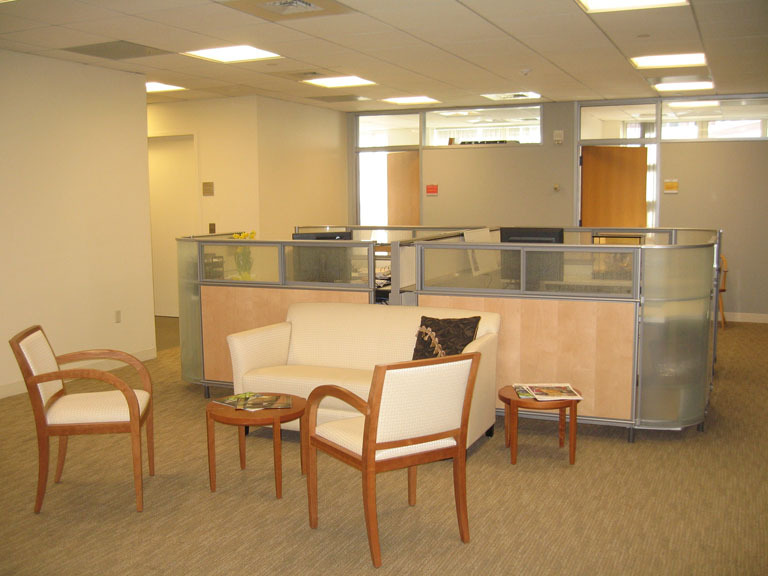 The project was a complete renovation of the existing WAPPP Office during the summer of 2010. The goal of the 2,630 square foot renovation was to reconfigure and optimize existing square footage to accommodate not only existing space needs, but also the need fit additional support space within the existing office footprint. In addition to space needs, the WAPPP Office the renovation allowed for a general “face-lift” to reflect the Program’s prominent position on a national and international level. The renovation included painting, removal of old carpeting, and the addition of a kitchenette and main entry space. Because of the project’s tight budget, expedited timeline and small scope the project was not originally pursuing LEED certification; however, HKS clearly demonstrated their commitment to sustainability by requiring that both the Harvard Green Building Standards and LEED Credit Standards be included in the construction documents released for Contractors to reference in generating their bid proposals. Because of this commitment, the project was ultimately able to achieve LEED certification.